Eva Kakepetum - New Author Publishing . Abe Kakepetum is a member of Keewaywin First Nation. His last name translated means “Forever Glorious”. He is of the Crane clan. The Crane clan represents leadership. Many have said to me “he doesn’t talk much does he?” I giggle and tell them that he listens and learns and, when he does speak, his words reflect his humility and wisdom. Abe is a survivor. His art is an expression of his experiences, thoughts and beliefs. His ultimate goal is to bring an understanding of his people and culture to others, that they may live in peace and harmony with open minds. The Anishinabek people have long had oral traditions passed down through the generations. In today’s technology-based society, people have stopped talking to one another face-to-face, heart-to-heart. Therefore, we have taken to writing the stories in order to preserve their wisdom for the generations to come. It is our hope that people of all ages and races will use these teachings to guide their thoughts and actions. 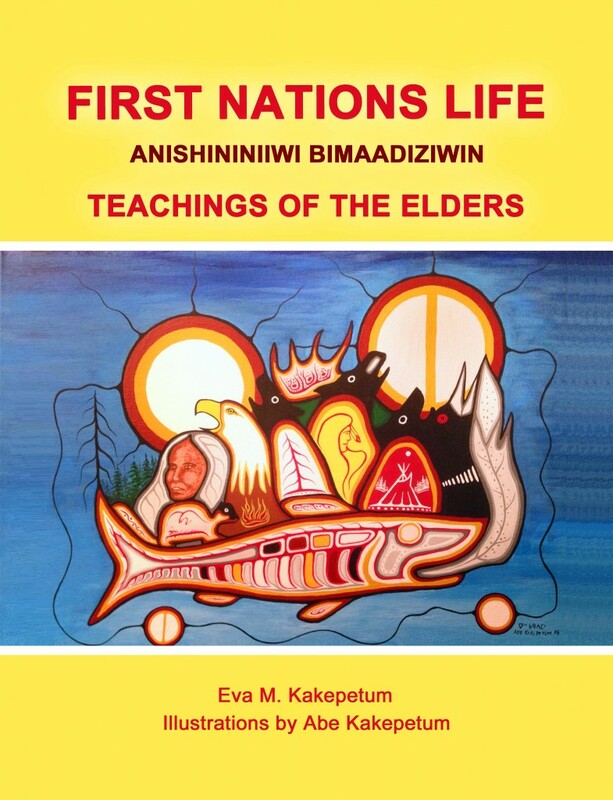 First Nations Life is a children’s book that combines the artwork of Abe Kakepetum with Eva’s words to create a picture of the traditions and ideals of our First Nations people. The book also contains colouring book pages derived from Abe’s art that make it perfect for a classroom setting or a child who loves art and colouring. First Nations Life was created to preserve the First Nations traditions by passing them to the next generation. Eva and Abe have collaborated on songs, artwork and books over the years. Abe is a well-known artist whose work has traveled the globe. Eva is a mental health counselor and the author of Alive Again – A Journey From the Storms of Life. First Nations Life can be enjoyed by people of all ages who desire to gain a better understanding of our connection to Mother Earth. Eva Kakepetum is an addiction and mental health counsellor who has lived through the dark times and is now living in the light. She shares her story so that you will know what she has overcome, and to let you know you are not alone in your struggle. She speaks from experience. The exercises she asks you to do will help you to understand yourself, and to come to a place in your life where you can forgive and find peace. Eva Kakepetum has been an addiction and mental health counselor for more than 34 years. She has dealt with her own demons of childhood sexual, emotional, and physical abuse and brings her own healing, and the healing of many others, to the context of this book. Now in her early 60’s, Kakepetum continues to learn from everyone she meets and works with. Through the years, she has discovered how people have a tendency to complicate things with their thinking and create turmoil within their lives and those surrounding them. Within the pages of this literary work you will see that the secret to successful relationships, and life itself, is so simple that anyone can achieve their goals, become their own best friend, and let their light shine for all to see. Let peace and joy reign within you. I have known Eva Kakepetum for twenty years and we worked together for seven. 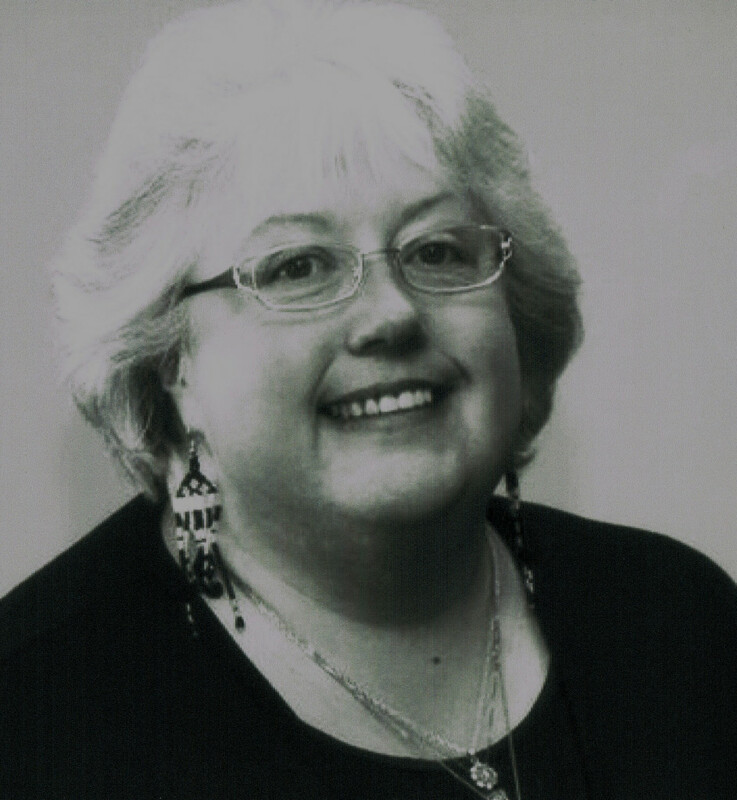 She has become an elder and added writing to her resume, along with her career in counselling. Her first book, on her personal journey was powerful and poignant; First Nations Life is wise, sweet and respectful to the traditions of native people. 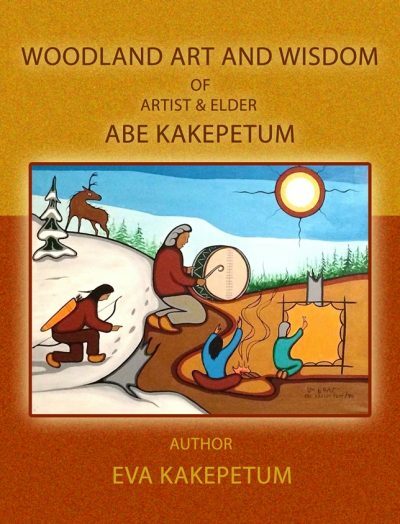 This is a good deal; along with Eva’s writings come illustrations by her husband, Abe Kakepetum; one of the great First Nations artists in the Woodland tradition. You won’t be disappointed. It is written for First Nations children but any child will appreciate the love of the natural world in this book. I will be reading this with great pleasure to my grandchildren. For people who want to experience the wisdom and beauty of the woodland tradition. “I read your book “Alive Again”. It was so interesting I couldn’t put it down. It was clear and precise to the point. It was easy to understand without having to weigh it down with multi-million dollar words. Your book can be used for educational purposes in healing journeys (which I plan to use for myself) . It gives you the skills and tools on how to heal and move forward. I recommend everyone read it!!! Thank you Eva. You’re the best! God bless! First let me confess bias; I was in the past and present a colleague of Eva’s and remain an ongoing admirer. If you need a shot in the arm of hope or inspiration I would highly recommend “Alive Again”. Don’t let the straightforward language and honest self-disclosure fool you. Eva is a professional through and through; I would trust her with anyone’s healing. She has supported thousands of people in the toughest environments over many years. This is more than a personal memoir of hurt and healing; there is genuine wisdom in her words. She describes how past trauma and wounds can be transformed into hope and love. Her unashamed spirituality and large and loving extended family back her up. And note that the original artwork in the book by her husband, Abe, represent the finest in the Sandy Lake school or Art. This is a must read for anybody looking for a quick fix of emotional and spiritual health. Beautifully written! This book will help a lot of people. Very well done Eva. I believe this book will open a lot of doors for people to heal. 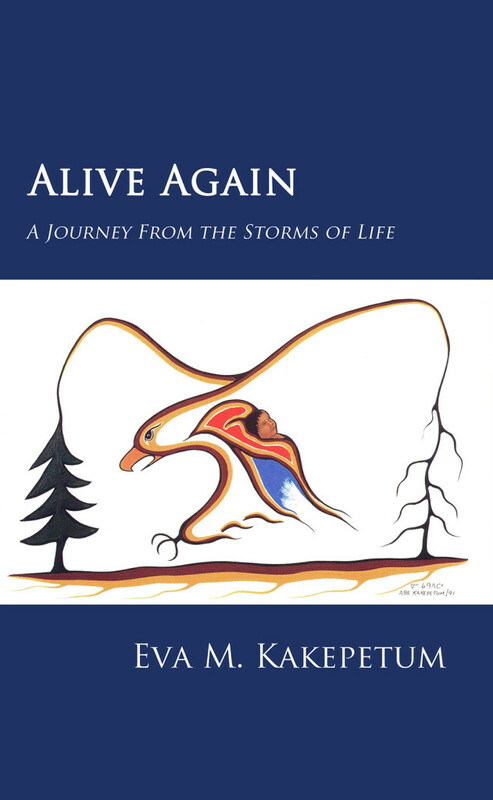 I received a copy of your book, “Alive Again” last week. I found the book to be produced beautifully, with the elegant cover art and layout. In my opinion, the book written in such a manner that those who may not have had the courage to speak up about the dysfunction in their own lives will be given new hope. The book helps us to better understand that substance abuse and domestic dysfunction issues can be serious obstacles in our lives. In my opinion, the work represents a new means through which those so affected can reach forward to move on to a better-informed and happier life. Thank you for writing this inspiring and uplifting book. Eva I just read your inspirational little book. ALIVE AGAIN from cover to cover. Obviously, I haven’t done the suggested exercises but I did think about them. The book is beautifully set up, easy to read and uplifting. Thank you for sharing your story, your healing journey and your practical exercises to help others take control of their lives (drive our own bus and choose what we want in it and what to kick off the bus), let go of pain, resentments, and anger, plant a new garden with seeds of growth and hope and learn to live with joy, peace, and love. Well done! Alive Again is a real gem!! This fearlessly open and honest book, bespeaks the author’s journey from her own difficult past to the joyful, balanced life she is living today. She gives the reader tools such as self love, hope and peace, to heal their life, no matter the storms encountered along the way. The beauty is that, although Eva is an accomplished professional in the mental health field, she has written her book in such an easy to follow and user friendly style. The inclusion of her husband, Abe Kakepetum’s artwork is a wonderful addition to the book as well. I highly recommend this book to everyone!